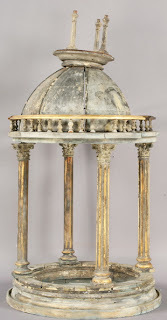 Auction Decorating: Architectural models are tres chic! 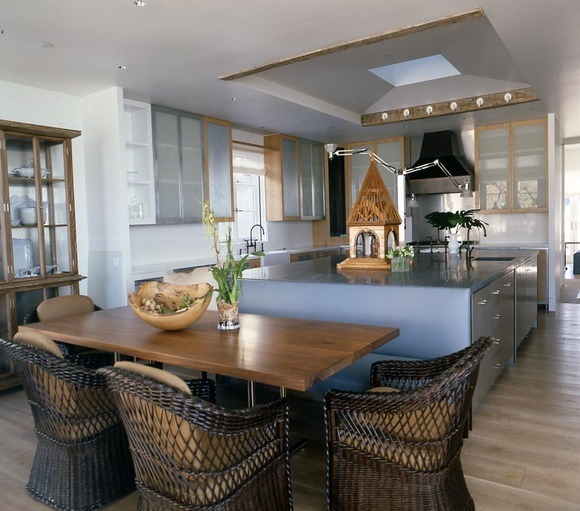 Adding decorative objects to a table or a shelf adds layers to your decor. Architectural models are very chic, and a bit out of the ordinary. 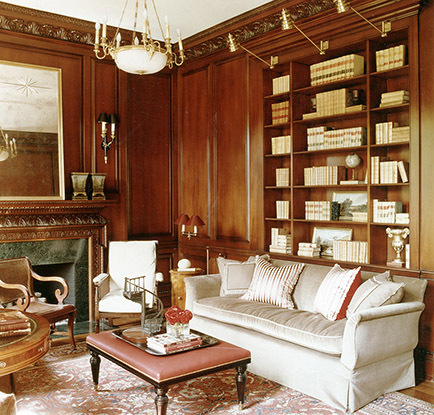 Suzanne Kasler includes a circular staircase model on the coffee table in this library. In their Paris apartment library, the designers Marco Scarani and Jamie Creel display their collection of architectural models on the book shelves. Very smart! The designer Vicente Wolf's use of a good sized architectural model to this kitchen counter adds a decorative flair to an otherwise utilitarian space. 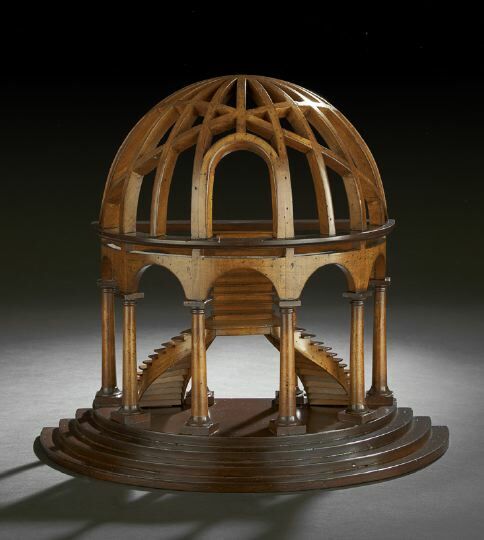 At the Christie's Interiors sale August 31st and September 1st, you can find this 19th century French mahogany architectural model for a rooftop (Lot 417). It's 14 1/2 inches tall, and has an auction estimate of $1,000 - $1,500. 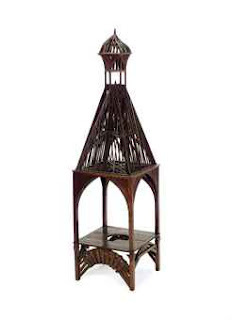 The Christie's sale also includes this late 19th/early 20th century mahogany French architectural model of a steeple. It's a huge 68 inches tall, and would be great sitting in the corner on the floor, looking very smart! This is Lot 1054, and has an auction estimate of $1,000 - $1,500. I always love some Asian items in any decorating scheme. How cool is this? This Chinese architectural model sold at a Doyle New York auction for $1,374 off an auction estimate of $2,000 - $3,000. 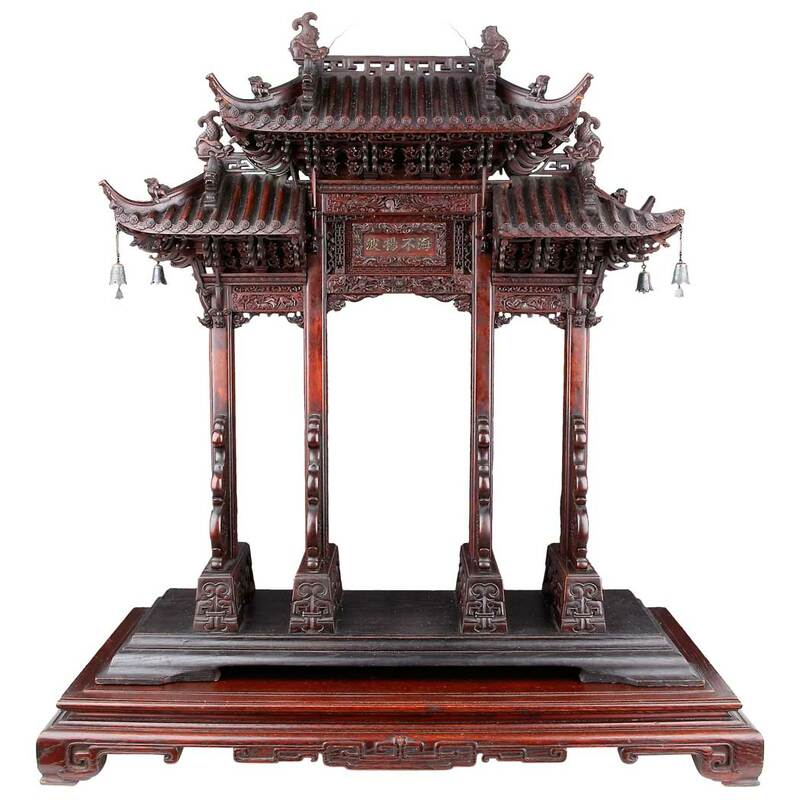 It's made of rosewood and stands 29 inches tall. It's early 20th century. This Grand Tour style model of a rotunda with Corinthian columns, circa1910, sold at a Kamelot Auction in Philadelphia for $600 off an auction estimate of $100 - $300. It stands 33 inches tall, and has a lot of character. It has the patina of age, and is very chic in my opinion. Great on a table in an entryway or on a shelf in the living room. This Antonio Macelli architect's model of a winged staircase is composed of fruitwood and mahogany. It stands 16 inches tall and is 18 inches wide. It's very smart! It sold at a New Orleans Auction for $1,599 off an auction estimate of $250 - $400, which is testament to it's desirability. 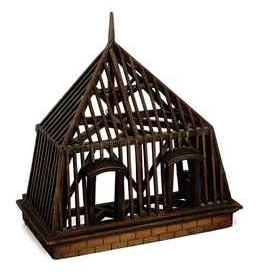 Architectural models don't come up all the time at auction, so you need to keep you're eye out for them. They are terrific looking and very chic additions to your decor in any style from classic to modern. They're a lot of fun too!